We here at MFW HQ LOVE David’s eye for a bargain – a Pierre Cardin shirt for only £2 – WOW! Plus his jet black cowboy boots are very autumn/winter 2011. 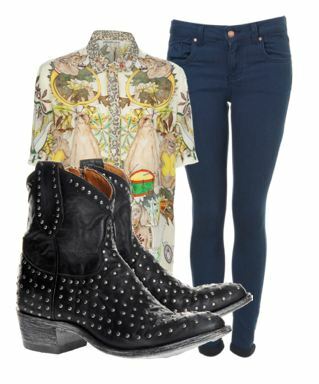 Get David’s 70’s inspired style by teaming up blue skinnies with a pair of black studded cowboy boots and an oversized Hawaiin blouse.